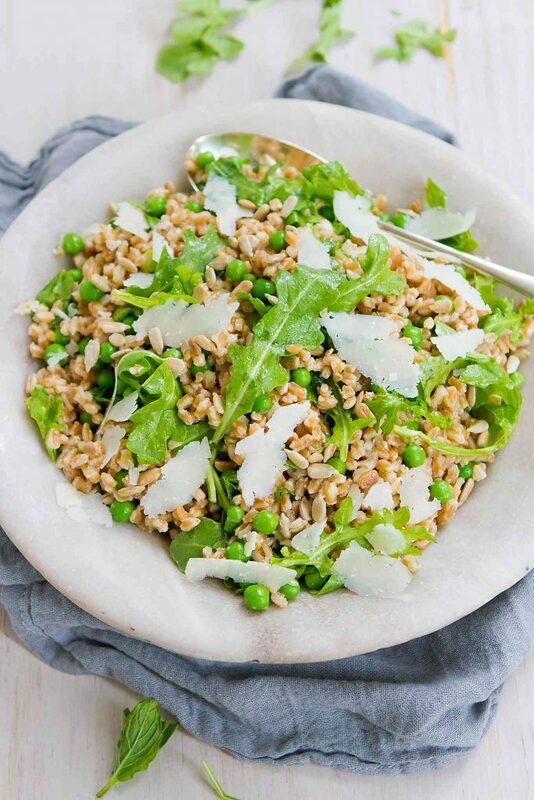 This easy whole grain farro salad recipe with peas and arugula highlights the fresh flavors of spring! The peas add the perfect pop of sweetness. When I was a kid, the worst thing you could put on my dinner plate was peas. I ate them dutifully, but detested every single bite. That is, until my mum set me in front of a bowl of fresh pea pods and asked me to shell them. From the first time I popped a fresh pea in my mouth I was smitten. They tasted nothing like the frozen ones. Sweet, with a perfect pop of freshness. As soon as spring produce hits the markets, I load up on fresh peas, asparagus and arugula. As much as I enjoy sweet potato and squash dishes during the winter, the first taste of springtime vegetables makes me feel as though I’m crawling out of a dark cave into the sunlight. Fresh peas are fantastic on their own, steamed or blanched, with a little olive or butter and a sprinkle of salt and it would shock the heck out of my mum to know that I could happily eat a bowl of them for an afternoon snack. 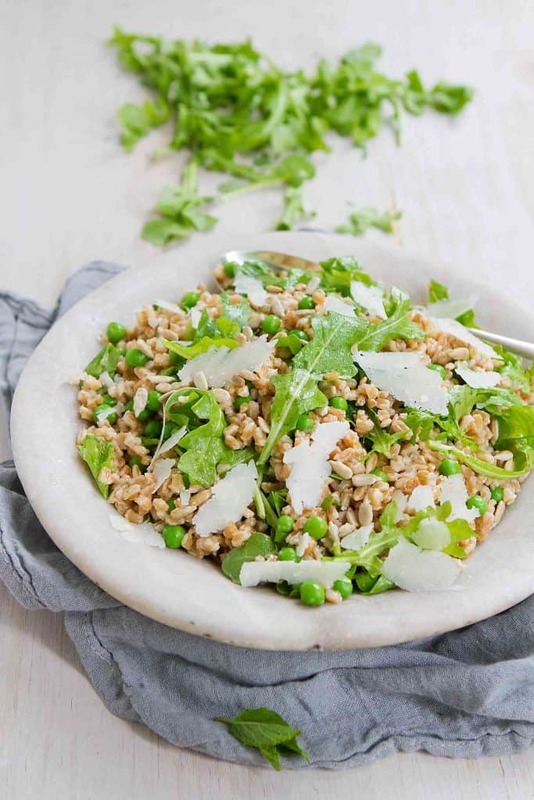 If blanching the peas in boiling water, like in this farro salad recipe, they don’t need to be cooked for more than a minute or two. Have a bowl of ice water at the ready so you can immediately plunge the peas into the cold water after draining them. This will stop them from overcooking. 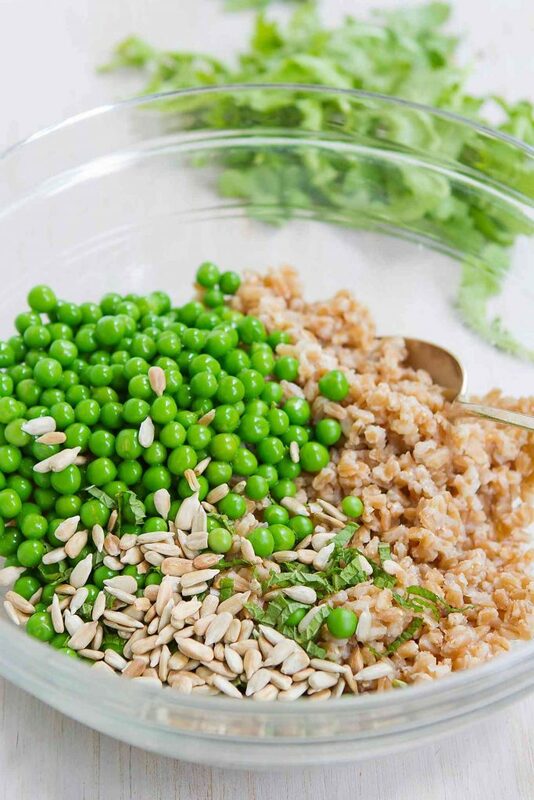 Cook the farro while prepping the peas and salad dressing for this farro salad recipe. I like to add the dry farro to some sauteed shallots and cook it in a mixture of vegetable broth and water for extra flavor. There will likely be liquid left over at the end of cooking the farro; this can be drained off and discarded. The dressing is a simple mixture of fresh lemon juice, olive oil, agave nectar (honey can be substituted), salt and pepper, which can be whisked together in about 30 seconds. I make at least one big batch of this dressing each week to have on hand for drizzling on salads and steamed veggies. 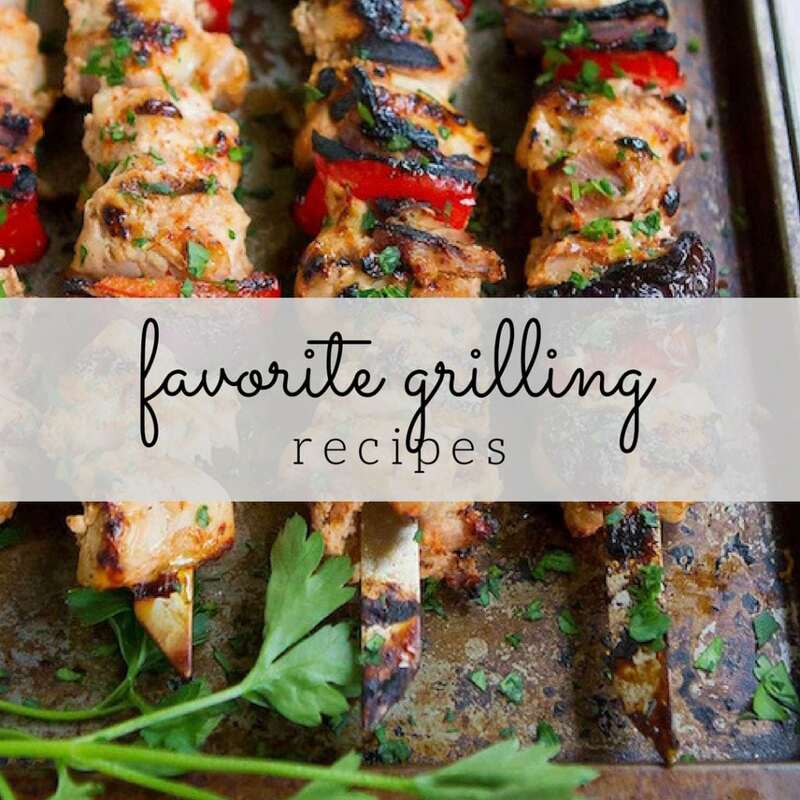 A pinch of chopped parsley, basil or mint are fantastic additions to the dressing. Make the farro ahead of time, cover and refrigerate. Bring to room temperature before serving. Whisk the dressing ahead of time. Cover and refrigerate. Blanch the peas ahead of time. Make the Parmesan cheese shavings and toast the sunflower seeds ahead of time. Wrap the cheese in plastic wrap and refrigerate. Mix everything together immediately before serving. Heat the olive oil in a medium saucepan set over medium heat. Add the shallot and saute until light brown, about 1 minute. Add the farro, vegetable broth and water. Bring to a boil. Cover, lower heat to medium-low and simmer until the farro is tender, about 30 minutes. Prepare a bowl of ice water. Bring a medium saucepan of water to a boil. Add the peas and cook until bright green and just tender, 1 to 2 minutes. Drain and immediately transfer to the ice water. 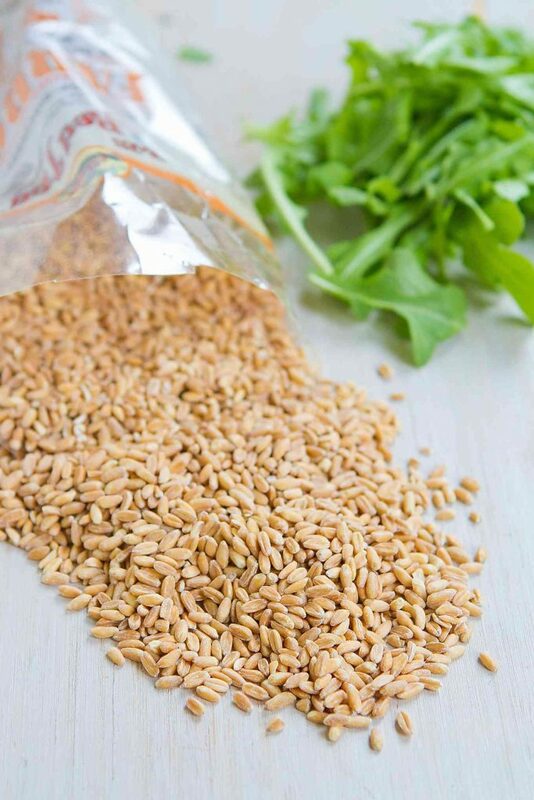 Combine the farro, peas, arugula, sunflower seeds and dressing. Toss to coat. Using a vegetable peeler, shave off thin pieces of Parmesan cheese. Add to the salad. Serve. In a small bowl, whisk together the lemon juice, olive oil, agave nectar, salt and pepper. 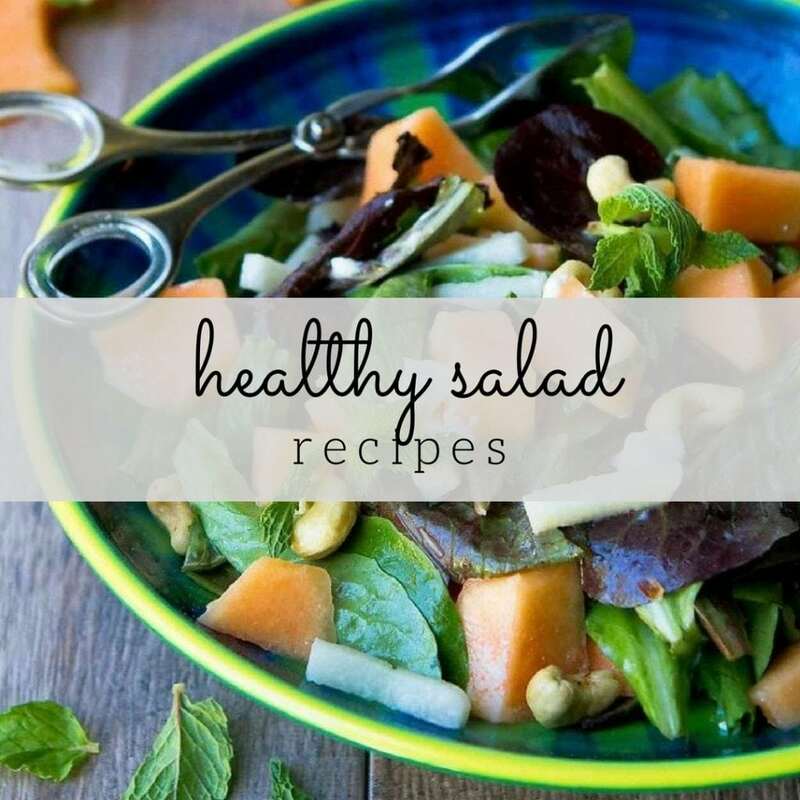 Love this sweet little salad! So fresh! I love that you kept the dressing simple and allowed the fresh flavors to really come out! Perfect! This salad looks absolutely delicious! Oh my – there’s nothing better than fresh peas! I remember shelling them with my mom and grandmother, too! Since farro is a favorite of mine, I’m all-in on this salad! It looks amazing! Now this is my kind of salad! SO delicious! I adore the texture of farro and this salad looks awesome. I’m happy to see that you’ve also added sunflower seeds. They’re another one of my favorites. I’m going to have to make this! 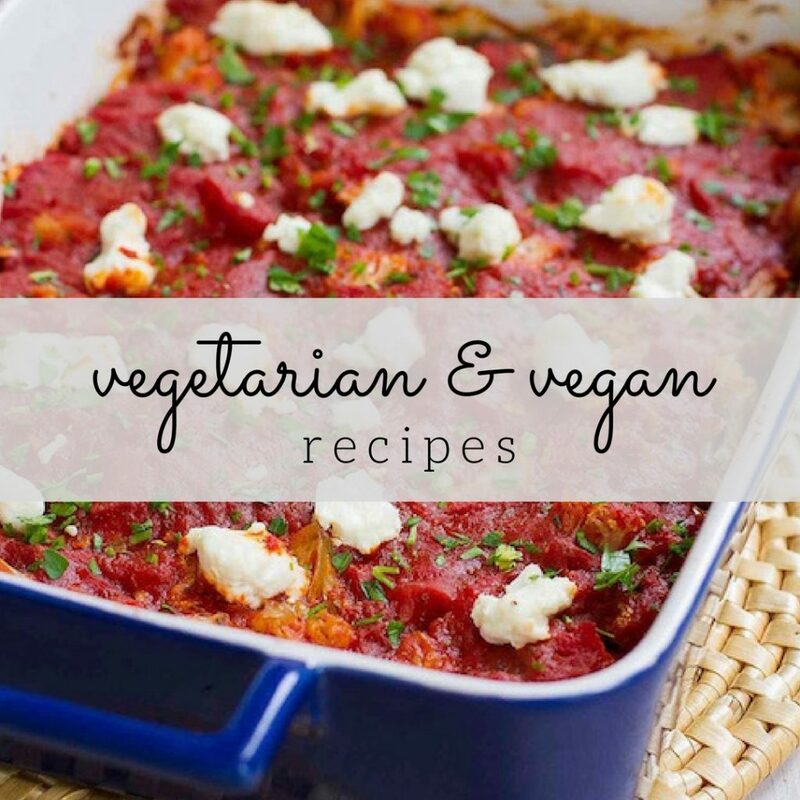 This is a great side dish for dinner! If I have any left from lunch that is!